There is no standard way to calculate mortgage prepayment penalties, and I think this is shame on everyone. From a selfish viewpoint, it does give we mortgage brokers/ agents a huge advantage over the banks’ offerings, but given how many people take their mortgage like sheep from their bank, there are millions of dollars needlessly at risk here. Closed mortgage penalties are typically the greater of three months’ interest or the interest rate differential (IRD). It is the IRD which continually catches unsuspecting consumers unawares. If rates have risen markedly since you arranged your mortgage, there may be no need for an IRD calculation. 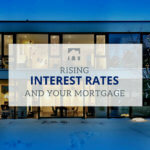 But as we all know, rates have been very low for years now, and as a result of the three months’ interest clause rarely applies – usually only with variable rate mortgages. I have no problem with the theory behind IRD. Say you contracted to pay 2.79% for five years, commencing April 2015. The bank booked this business, and they could predict their interest income on this money for the next five years. But suppose you now have to break your contract in March 2016, the bank should be ‘made whole.’ In other words, You should be charged the difference between what you agreed to pay, and what the bank can now earn. That’s IRD. As it happens, nothing much has changed since last April; the bank can still lend your money out at 2.79%. But there is not a standardized way of calculating IRD. It can be very confusing, even for some mortgage specialists. Take a look at the mortgage rates for any major chartered bank on their website. Their presentation is pretty similar. Five-year term – you can arrange a five-year mortgage at 2.89%. Their ‘posted rate’ however is 4.99%. So the bank’s position is they are ‘giving you’ a 2.1% discount as a valued customer. The reality is if they did not give you their best available rate of 2.89%, you would take your business elsewhere. Many people think the posted rate is simply for chumps who meekly accept the posted rate, particularly at renewal time, without realizing a much lower rate is there for the asking. This is not so much the case these days; there are rarely stupid consumers anymore, in this enlightened information age. But the posted rates do allow certain lenders to their customers hostage if they choose to break their mortgage mid- term. In my experience as a mortgage agent, most of the lenders I see with reasonable prepayment policies are not chartered banks. So be careful out there.